Everyone wants the whitest smile they can possibly get. Luckily, there are a few options available. Whitening treatments from your dentist or over-the-counter products can brighten your smile with just a few applications. However, if you have received dental bonding, your teeth may not whiten properly. Dental bonding is a common technique used by dentists to fill a gap or repair a chipped tooth. The dentist uses soft, pliable composite resins to fill the empty space, then shapes the resin to make it look like the gap was never there. The process can be completed in a single visit and usually results in a natural looking smile. First, the dentist will shave down surrounding teeth near the tooth gap where the bonding will occur. This step ensures that the resin has a smooth surface to attach to. Next, a liquid is applied that will hold the resin in place. Then, the resin used for bonding is shaped and placed on the nearby teeth, filling the gap or chipped area perfectly. Once the resin is smoothed out to fit the space, the dentist will use a special light to harden the resin. A few days after the procedure, the patient will be able to resume normal eating. Teeth whitening is a treatment used to brighten a patient’s teeth. Through teeth whitening, deep stains in the pores of the teeth can be lifted out, leaving a brighter appearance. You can receive professional treatments at a dentist’s office or purchase an over-the-counter kit to whiten your teeth at home. While these treatments work well for natural teeth, they may not be as effective for bonded teeth. For a professional teeth whitening procedure, the dentist will clean your teeth just as they do for a regular check-up. Next, they will apply protection to your gums to avoid contact with the whitening gel. Then, the gel will be applied to your teeth and will penetrate the pores of your teeth. The gel is then cleaned off and your teeth are cleaned again. Most patients schedule a few whitening sessions with their dentist until their teeth are whitened to the level they desire. Home whitening kits are also available at most grocery stores and pharmacies. These kits allow you to apply similar gels to your teeth, or whitening strips, which will brighten the surface of your teeth. After a few weeks of treatments, you will have a visibly whiter smile. One common drawback to whitening treatments is that many patients complain about tooth sensitivity. As whitening gel penetrates the surface of a tooth, it gets closer to the nerves, causing sensitivity. 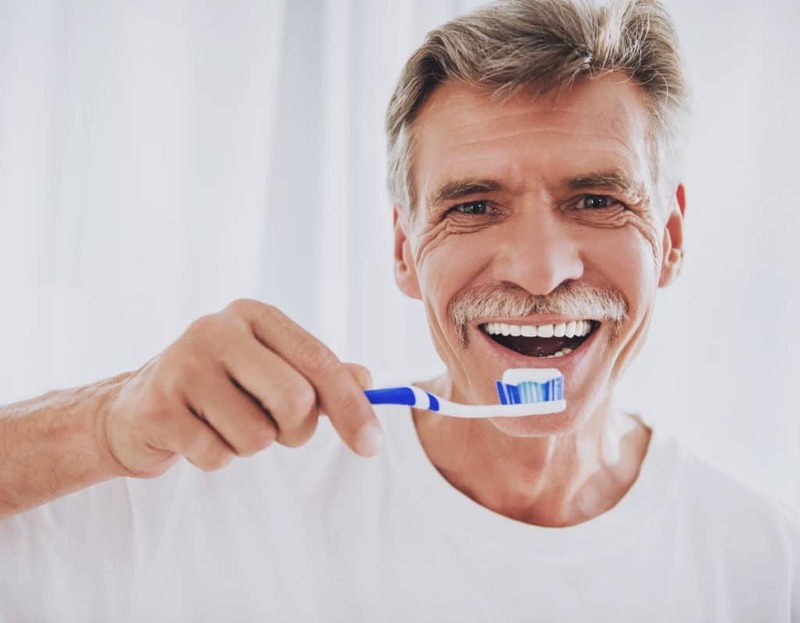 Most patients are able to handle the pain by incorporating sensitivity toothpaste into their daily oral hygiene routines. If the pain persists, patients can stop the treatments or try brushing their teeth more gently. Whitening your bonded teeth may take more time than whitening natural teeth. Natural teeth are filled with pores that absorb the colors of food and drinks, causing discolored teeth. While whitening treatments can clean the pores of natural teeth, bonded teeth do not have pores. This makes it difficult to stain and whiten bonded teeth. If possible, whiten your teeth before your dental bonding procedure. Your dentist will be able to match the color of your bonded teeth to your newly whitened teeth. Teeth whitening after dental bonding is more complicated. One option is that you can have your bonded teeth removed and redo your dental bonding after receiving whitening treatments. If you do not want to redo your dental bonding, you can still receive teeth whitening treatments, however, they may not be as effective on your bonded teeth. Even if you have bonded teeth, you still have options. Our dental professionals are experienced with teeth whitening and dental bonding. Schedule a consultation with our office today!